Whether its baseball or transit, Boston hates being behind NYC in anything. Unfortunately, the MBTA has yet to crush its debt. 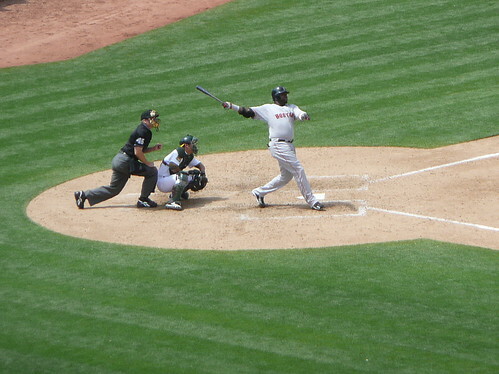 Here, Ortiz demonstrates how. Bostonians hate being behind New York in any standings — a fact I was reminded of when Boston was ranked third, behind our East Coast nemesis and San Francisco, in the Walk Score ranking of public transit access. (This was covered by The Atlantic here.) However, this particular ranking is appalling to most residents of the area in a different way. Ask anyone who has ever been stuck waiting in the rain for a bus that never arrives, in the snow for the commuter rail, or under a beautiful blue sky for the Red Line and they will tell you that Boston’s third place ranking is a joke. The problem (beyond the limits of the methodology of the study) is that public transportation in the United States is not world class. Unlike baseball, we are not one of the world leaders in this important category. So Boston’s third place finish is less exciting when we consider the competition. The MBTA has estimated that the operating budgets for FY14-FY16 will be $40 million, almost $90 million, and almost $170 million respectively larger than the FY13 funding gap of $161 million. The increased fares will not relieve the MBTA of any of its debt burden. Likewise, the FY13 budget does not attempt to address the MBTA’s state of good repair problem. The MBTA is currently spending about $580 million per year to prevent its long list of maintenance needs, estimated at $4.5 billion, from growing. However, about $750 million are needed annually to fix the system and buy new equipment. These aging subway cars are challenging the MBTA’s ability to run a full set of trains each day, causing longer waits on platforms and more frequent service interruptions, as well as at least one breakdown that stranded passengers for hours in a tunnel. A truly well-functioning transit system, promotes a healthy economy and environment and is a crucial investment. If we want a transit system that meets our needs, the state will have to raise sufficient revenue going forward. Once we do so, we can stop watching New York in the rankings, at least when it comes to public transportation.